As the winter holidays are in full swing, we spend more and more time in the kitchen, whipping up goodies made with seasonal produce such as pumpkins, sweet potatoes, and cranberries. So why not let your pup in on the fun of enjoying some seasonal treats? We compiled 5 easy, yummy, and healthy dog treat recipes you’ll want to try out with your best furry friend! **Pro Tip: Make a big batch and put the extra in the freezer. Pull out about a week's worth at a time and always have healthy, preservative-free dog treats on hand! Yes, you read this correctly, just ONE ingredient! But what you will need is a good bit of patience and time to let sweet potato slices cook and dehydrate. For the full recipe, go here. This pretty little dog biscuit can be made with ingredients you probably already have in the kitchen. **Pro Tip: You may want to add extra flour if your dough is too wet. For the full recipe, go here. Have some extra zucchini on hand? Try this easy recipe that only needs three ingredients! When we think of the holidays, it’s hard not to think pumpkin EVERYTHING. Pass on the pumpkin spice for your dogs; let them indulge with these yummy and easy treats instead! We love that this next treat contains cranberries that are chock full of antioxidants, as well as Greek yogurt that supports digestive health. 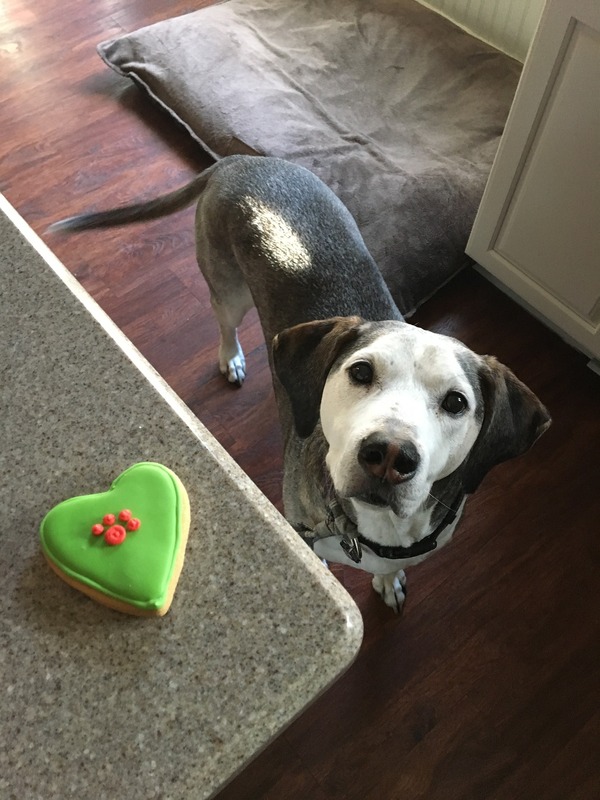 These festive treats will sure to have your pup begging for more! *Just a reminder that treats are just that - treats. They are meant to be an occasional way to dote on your dog. Every pet is different, so it’s best to consult your veterinarian if you have any dietary concerns. If you have any questions, feel free to contact us here.